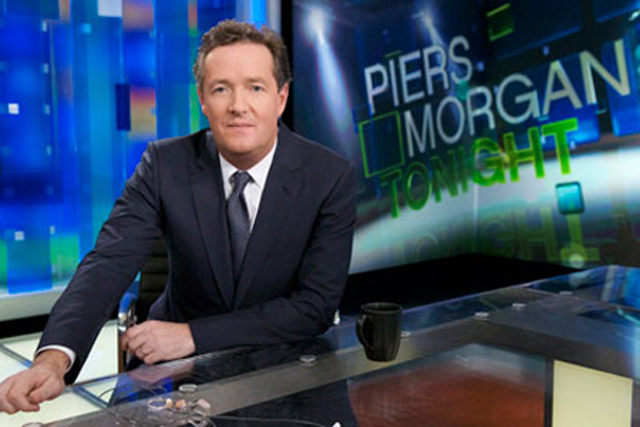 CNN 'Tonight' host and former tabloid editor Piers Morgan is being drawn deeper into the phone hacking scandal today as interviews emerge in which he appears to suggest that the practice was widespread and stories based on phone hacking were published on his watch. Several quotes and interviews have emerged this morning linking Morgan to phone hacking. Chief among those is an appearance on a BBC programme two years ago in which the former Daily Mirror editor appears to admit using stories based on phone hacking and other practices employed by private investigators of the kind employed by the News of the World. Morgan, who was appearing on BBC Radio 4′s 'Desert Island Discs', told presenter Kirsty Young that stories, obtained by third parties investigators, were published during his time as a tabloid editor. Following that, blogger Guido Fawkes this morning published a story that reprinted a quote from one of Morgan's books. In it Morgan seems to suggest a Mirror scoop, about the affair between Sven Goran Eriksson and Ulrika Jonsson, might have been the result of phone hacking.